I’m super excited to share this new recipe with y’all. 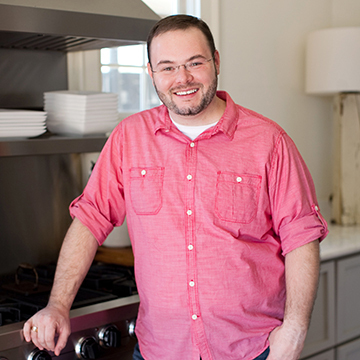 It comes from my pal Jackie’s new cookbook – Biscuits: Sweet and Savory Southern Recipes for the All-American Kitchen ! You probably recognize her name from her popular blog over at Syrup and Biscuits. 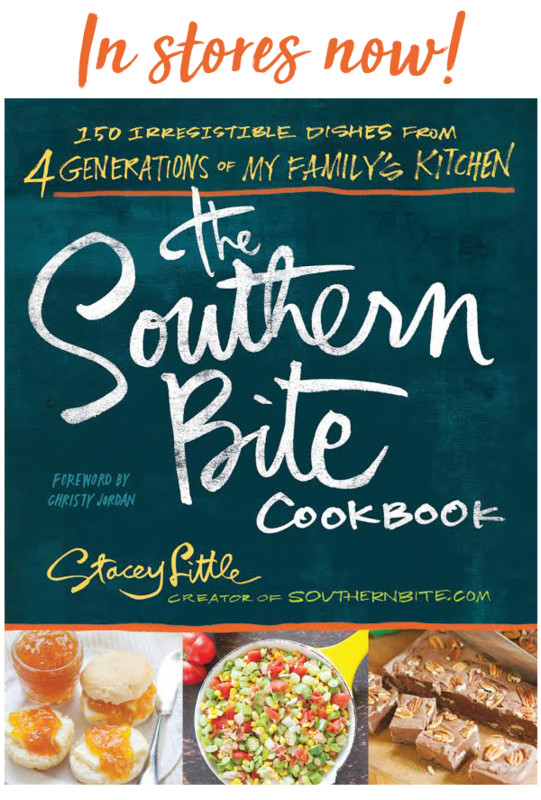 She’s always serving up good eats over there and now she sharing her heritage and family biscuits recipes in her new book! I’m so excited for Jackie and this beautiful book that released yesterday! If you love biscuits (and who doesn’t) then you’ll love this book! It’s filled with amazing recipes that will certainly get you thinking outside of regular buttermilk biscuits. 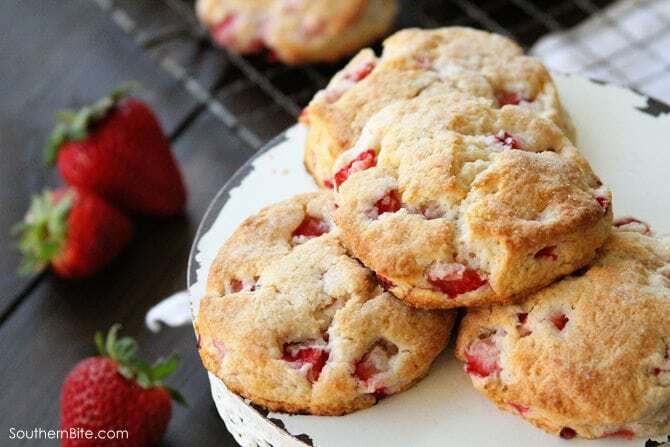 With recipes that range from these delicious Strawberries and Cream Biscuits to an amazing Pepperoni Skillet Pizza with a biscuit crust, there’s truly something for everyone in here! 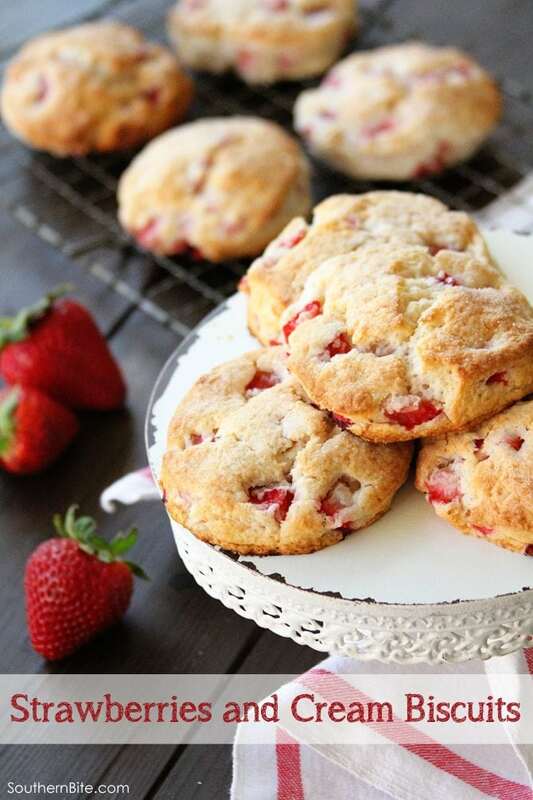 I made these Strawberries and Cream Biscuits and my family went wild over them! I often try recipes out of books and end up never using the recipes again, but I’ve already had requests for these again, so I’ve got a sneaking suspicion that these will be added to the regular rotation at our house. Y’all enjoy! Place flour and sugar in a large bowl. Cut or rub in butter until flour resembles coarse meal. Add strawberries and heavy cream. Stir until dough is wet and sticky. Turn out onto a well-floured surface. Sprinkle dough with flour and gently knead, adding additional flour as needed until dough in no longer sticky. Roll out to 1 inch thick. Cut with with a 2 1/2-inch biscuit cutter dipped in flour. Place on a baking sheet oiled or covered in a baking mat. Brush tops of biscuits with cooking oil. Sprinkle with granulated sugar. Bake in preheated 450° oven for 15 minutes or until tops are golden brown. These look incredible. They almost look like scones! Thanks! They taste a lot like them too! I adore biscuits and grew up on them so I sooo need this cookbook. And I adore strawberry biscuits. These look sensational. Thanks, Jocelyn! They are so delicious! These are absolutely gorgeous. I haven’t gotten any fresh local strawberries yet and I will be fixing that this weekend! Hi Stacey! 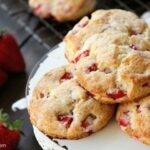 I will be making these as soon as I get my hands on some strawberries! In fact, I think I will use these as the biscuits for strawberry shortcakes! These are making my mouth water! Oh my goodness, can’t wait to make these or get Jackie’s Book! Thank you for this beautiful review! I hope you and your family enjoy many more Strawberries and Cream Biscuits. You are a wonderful friend. It’s a great book! Beautiful work my friend! I love your website and all your recipes. Thanks for a word of encouragement about prayers. I am really going through a rough time. Please pray for me and my family. Thank you so much. You are so welcome Diane. I hate to hear of your troubles, but know that God has this. Keep in mind that you’ve so far survived 100% of everything life has thrown at you. You’ll get through this too. Praying for you, for sure.